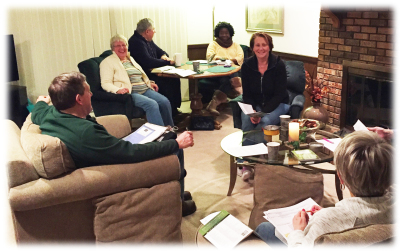 At First Baptist Church of Ypsilanti we believe in connecting with other people to build relationships as we GROW together in our faith. Small groups are a great way to connect with other people, build relationships, and especially develop one's faith in Christ. In groups, people will have the opportunity to study together, serve together, pray together, and share more about their faith with others…and have fun! Small groups are an effective way to GROW in your understanding and practice of the Christian faith. to invite friends and neighbors to participate. Click on the button below or visit the church Welcome Area Hospitality Table to sign up. 60 to 90 minutes (exact times and durations decided by each group). a 12-week Pilot Small Group training course and will continue to collaborate with each other throughout the launch period.